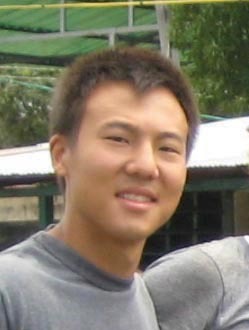 In summer 2007, funded by a Summer of Social Action Award from the Lang Center for Civic and Social Responsibility, Heo worked in Pemón as a physician’s assistant, where he noticed while treating a seemingly endless line of patients that no preventive measures existed to protect the villagers against common illnesses such as malaria. Heo believed that by focusing on preventing illnesses—for example, by increasing the availability of mosquito nets to stave off malaria—rather than using valuable resources to treat diseases, health problems could be reduced. “The idea of using resources for prevention was fundamental to public health practice, and I thought that with the right combination of motivated Swarthmore students, we could create positive changes to improve health in the villages,” he says. Back at Swarthmore at the beginning of his junior year, Heo recruited other students to help compile a list of possible funding sources. They first obtained funds from the Lang Center, including the Project Pericles Fund, then later also from the Clinton Global Initiative and the Walmart Foundation. These days, Pemón Health students plan summer projects during the academic year, then students from Swarthmore and now from other North American colleges work from June to August in Venezuela. They’ve conducted a baseline survey to assess conditions in the villages, started a waste management program, distributed hundreds of mosquito nets, held education workshops for children, developed parts of an agricultural center, and distributed more prevention-focused goods, Heo says. Recent graduate Elisa Lopez ’11 is currently president of Pemón Health. Heo, who is completing a thesis requirement for a master of public health degree, intends to work in the public health field. Lopez and Heo are in direct contact with each other. “When important decisions are being made, I always offer input to ensure that we are always working toward meeting our long-term goals,” he says. 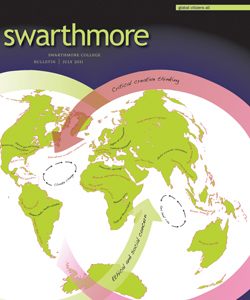 FACTOID: 30% of Swarthmore Foundation projects and internships during the past seven years have taken place abroad, including some in students’ home countries.